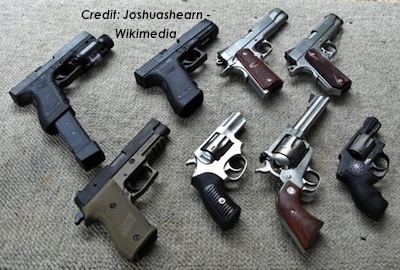 Home » Posts tagged "Colin Woodard"
Paul M. Barrett last week in Bloomberg Businessweek discussed the state of the (once again) failed “gun debate” following Newtown. He zeroes in on what might be termed the ‘narrative gap’ in the country’s divided political communication over this issue, which has prevented gun control policy advocates from achieving much in recent years. For better or worse, gun ownership has come to symbolize a range of deeply felt ideas about culture and government authority. Essentially, some regions of the country don’t have much need for guns in a practical sense anymore — and historically never held the views about government that make some regions use guns as “emblems of liberty and traditional values,” as Barrett puts it. To many people in the former places, which always tended to support strong central government, opposition to gun control — or more properly the concept of gun rights at all — is genuinely baffling because the two are basically viewed as unrelated. To many people in the latter regions, which have always opposed or questioned strong central government (witness early nullification challenges in Kentucky, or South Carolina), support for gun control is genuinely viewed as tyrannical. Even if one doesn’t literally believe that gun owners would successfully repel a totalitarian government, many see gun control policies as a metaphor of other perceived overreaches. And the gun is a symbolic resistance against that. So the real question is going to be how to bridge that chasm dating back centuries. A total failure to communicate means no policy change but increasing bitterness on all sides. We’re going to have to figure out an alternative route that allows us to speak the same language on this issue rather than just staring blankly or angrily at each other. As Barrett says, it’s not going to work to just keep repeating facts and figures over and over while condemning the “liberty” arguments as paranoid and unrealistic. I’ll admit I’m guilty of that approach, but I can also see it’s not working.